In what looks like a bid to make their own streaming media players more competitive, Amazon has announced that they will stop selling similar streaming devices made by Apple and Google on their site. An article in the New York Times stated that according to messages from resellers posted in online forums which Amazon did not dispute, Amazon is forbidding all third-party merchants from selling the Apple and Google devices after Oct. 29. 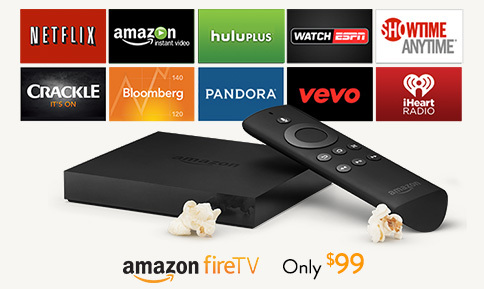 While Amazon has not commented on their unusually territorial move, their own Fire TV and Fire TV Stick, which were introduced in 2014, are competing with the Google and Apple products, and delivering Amazon’s quickly expanding video options to customers, which Apple TV and Chromecast do not. Amazon’s list of top-selling electronics products has Chromecast slated as 6th and Apple TV as 14th. A turf war, they say, is being played out between the three companies, Apple, Amazon and Google, who all first started out with very different products; hardware, a frequent shipping service, and a search engine.